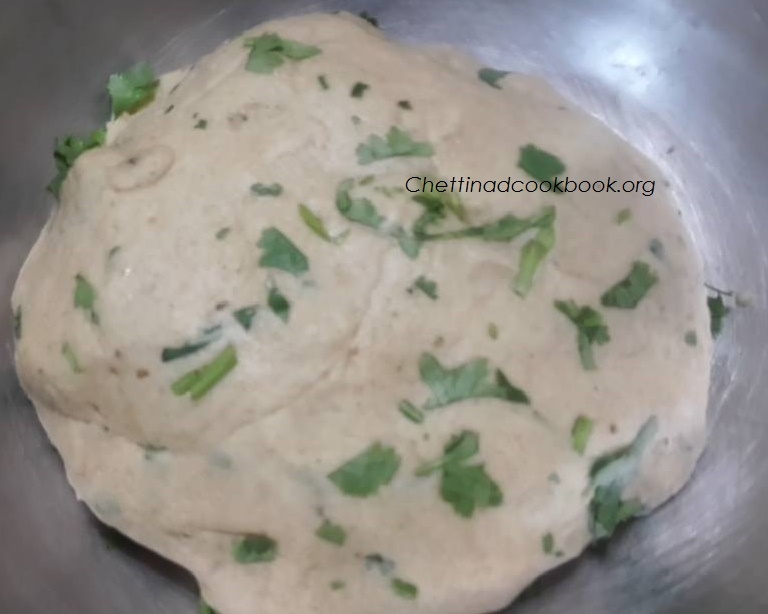 Chapathi or Roti is a staple food in India.Varieties of flavourful rotis and stuffed Parathas are prepared for every meal, served with different type of subji’s.This Garlic and cilantro flavoured aromatic roti is very delicious and soft.Unique taste of this chapathi can be eaten without any side dish. I am not expert in North Indian style dishes, but love to try more recipes to explore. In a wide bowl put all ingredients and mix well,add water little at a time mix all together to make a soft dough. Keep aside for 20 minutes.Make lemon sized balls roll it to your desired shape,using dry wheat flour to roll. 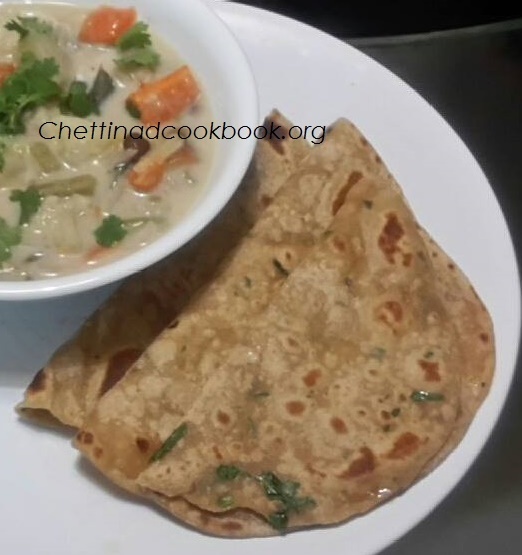 Heat Tawa cook made chapathi, flip and cook the other side too for another 1 minute or until you see brown spots on both side. 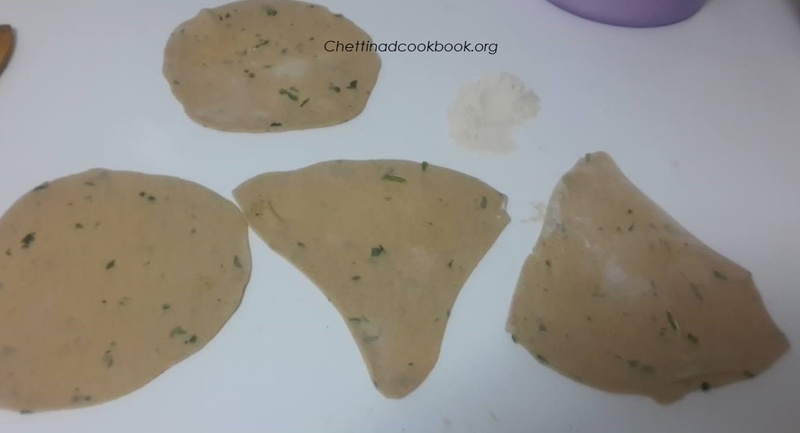 While cooking the second side make sure to press the dough with a spatula that will help to retain steam inside the dough and chapati will puff up. Transfer and serve with any side dish you prefer.